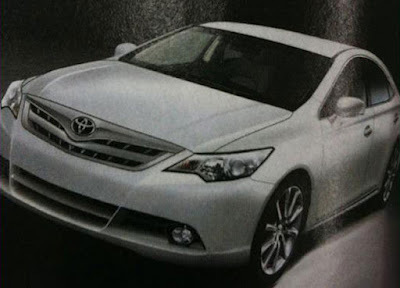 This appears to be the new 2012 Toyota Camry, which according to the latest report, it will be launched in October. Not to sound like a jerk, but Toyota-Albama got that pic from my site. Hmm, that's not nice. Thanks for letting me know, I have changed the source. Keep up the good work mate! Is this the new Toyota Camry?